My son Kai loves crafts. 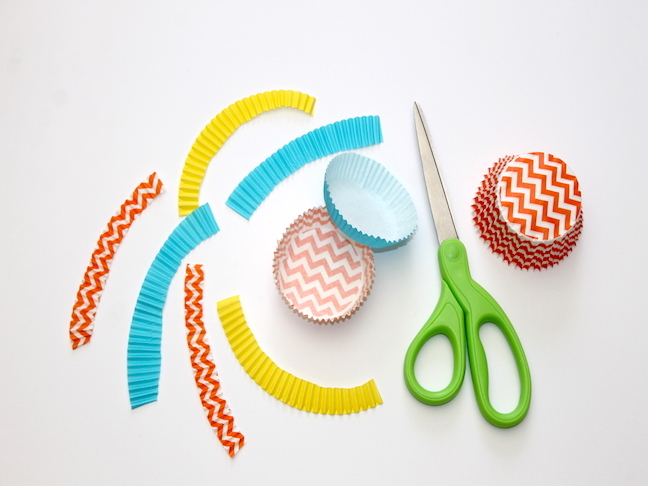 We’re always perusing Pinterest to find a new craft that we can make together. 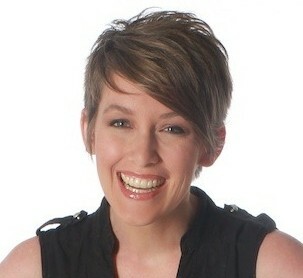 When looking for projects to make, I always steer him to things that we can make using things we already have at home. I mean, why buy extra things to make crafts if you don’t have to? 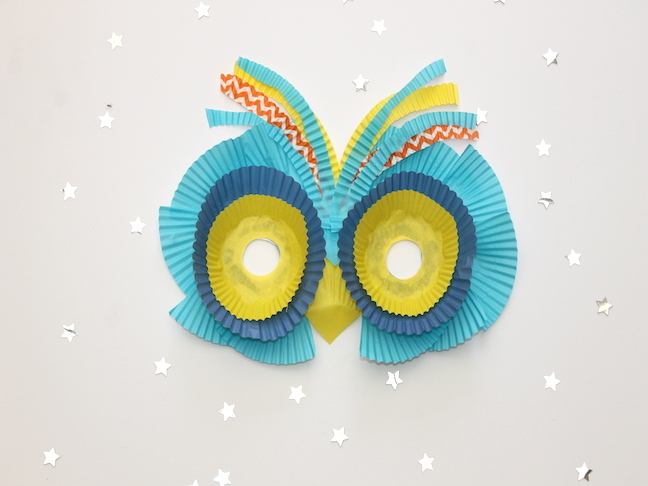 That’s why I love this owl mask DIY project. 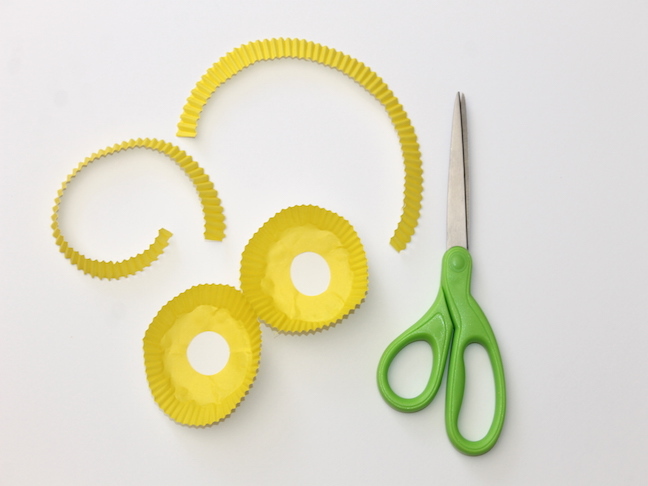 It uses three things that you probably have lying around in your house: a paper plate, cupcake liners, and ribbon (or elastic, if you have some). 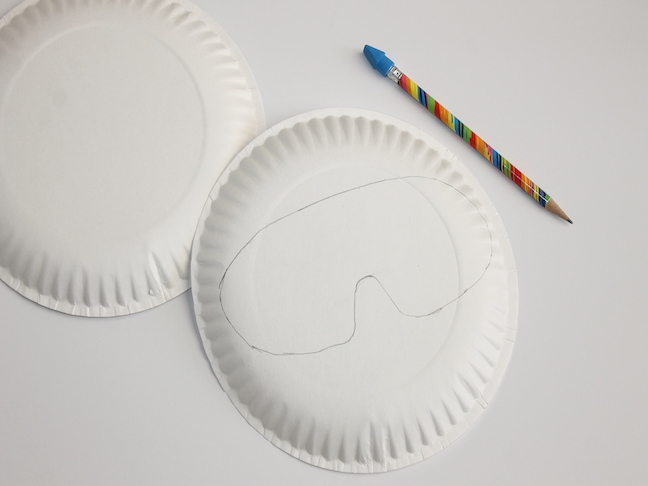 Step 1: Draw a mask shape on a paper plate with a pencil. 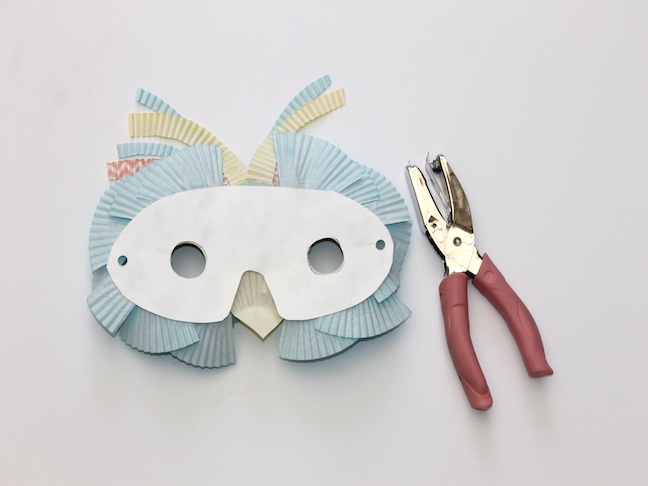 Step 2: Cut out the mask shape with scissors. 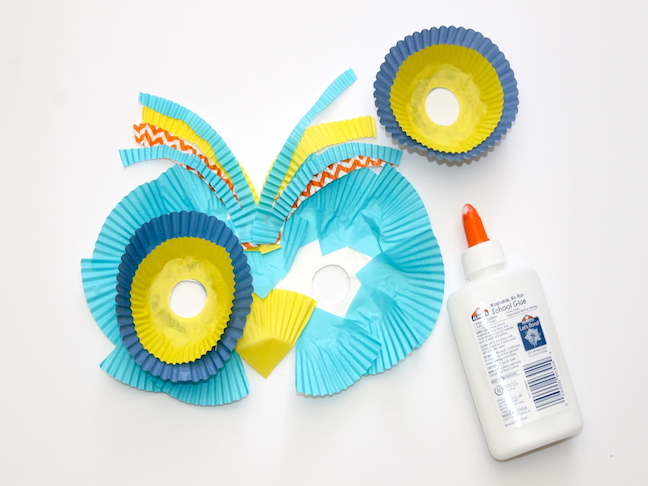 Step 3: Make the feathers for the mask by cutting a cupcake liner in fourths. 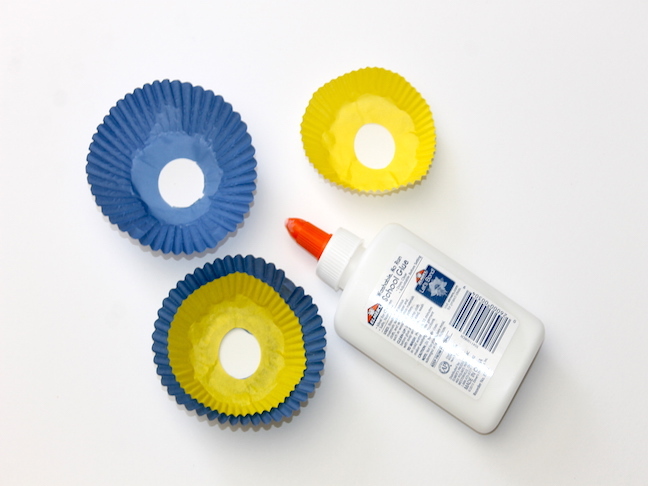 Step 4: Since the craft punch can’t fit into the center of the cupcake liner, make the eyes by folding a cupcake liner in half. 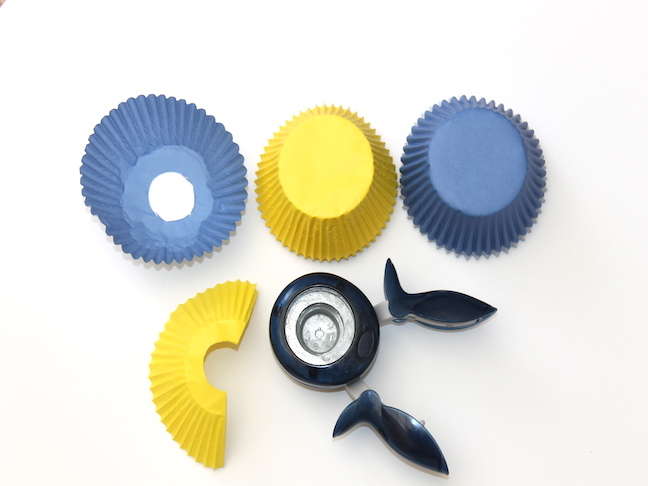 Step 5: Then use the 1” craft punch to punch into half of the cupcake liner. 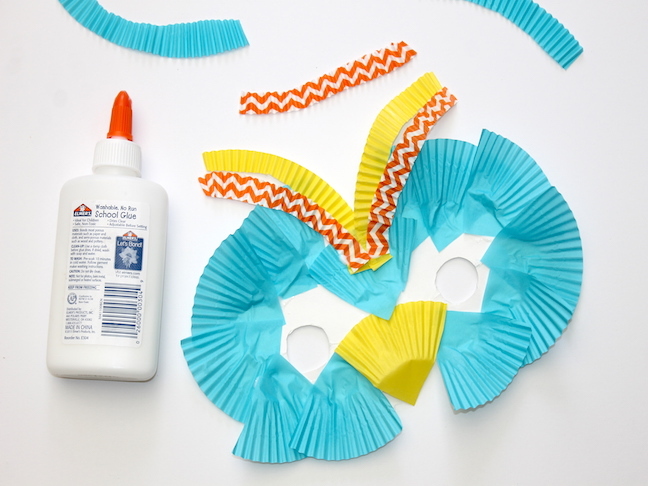 Make four cupcake-liner owl eyes. 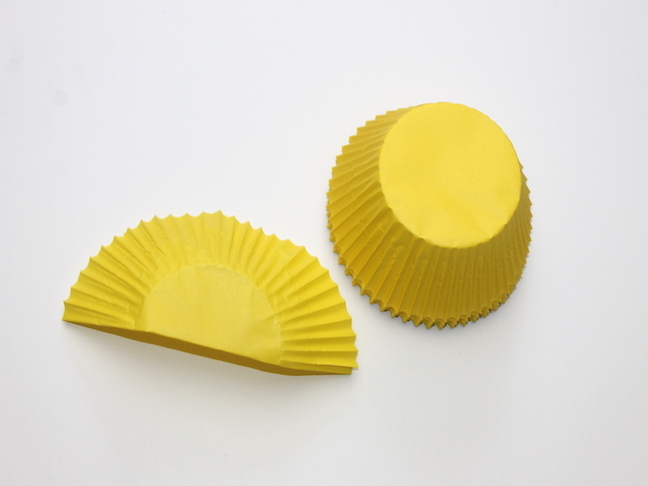 Step 6: Make a beak by cutting a yellow cupcake liner in fourths. 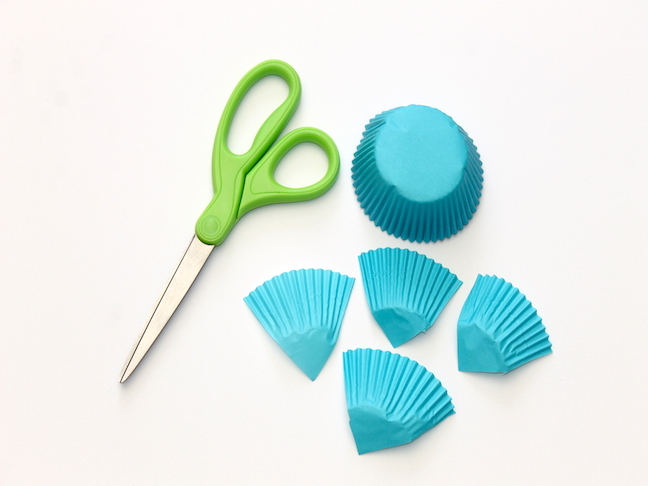 Step 7: Cut off half of the top of the cupcake liner from two of the owl’s eyes. 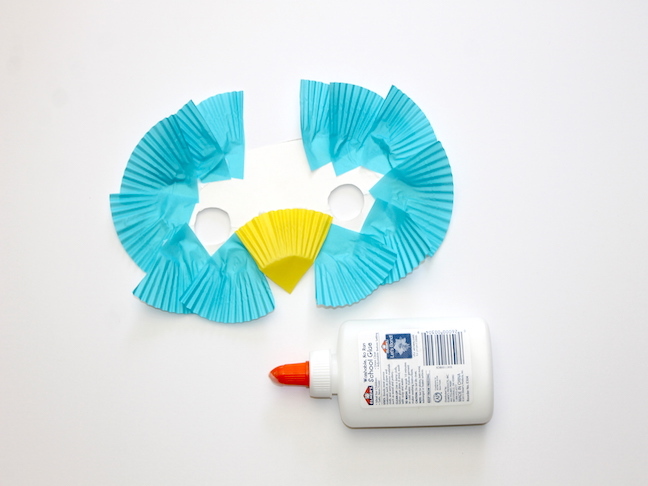 Step 8: Glue the small cupcake-liner owl eyes into the larger owl eyes. 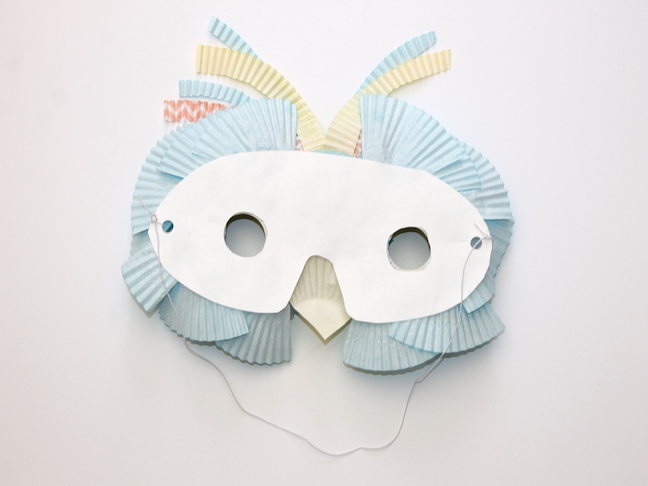 Step 9: Glue the liners that were cut into quarters onto the mask. Step 10: Glue the yellow beak onto the mask. 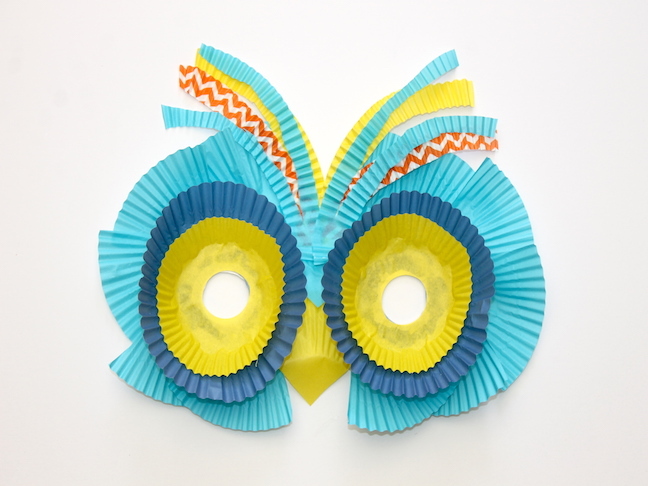 Step 11: Cut off half of the top of the cupcake liners for extra feathers for the top of the mask. 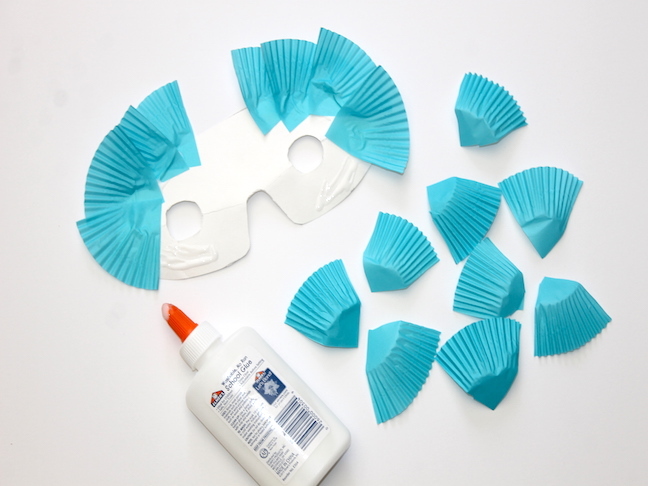 Step 12: Glue the cupcake-liner strips to the top of the mask. Step 13: Glue the eyes to the mask. 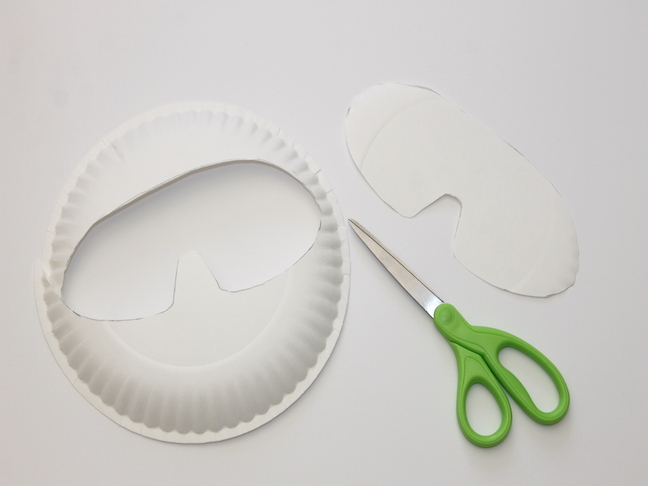 Step 14: Once the mask is dry, use a hole punch to punch a hole on either side of the back of the mask. Step 15: Tie a ribbon or a piece of elastic and tie to the two holes.